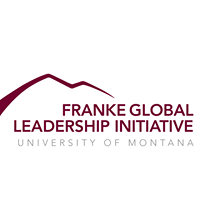 Your gateway to the Beyond the Classroom Experience with the Franke GLI at the University of Montana. 3 months, 90 days, 2160 hours, I got the wonderful opportunity to spend in the land of the Kiwis. The beautiful country southeast of Australia should not be overshadowed. New Zealand, the land of rugby, Lord of the Rings, beautiful beaches, bungy jumping, left-side-of-the-road driving, strong coffee, Maori Culture, etc., was my home for the summer. The Kiwis (local people) welcome new travelers with open arms and open hearts. I interned for a non-profit organization, Recreate New Zealand, working with people with intellectual disabilities. Everyone I worked with, both participants and staff members, were the nicest people I have ever met. I become close friends with other staff members and interns. I even got to play on a soccer team for two games with a staff member (something I never thought I’d get the opportunity to do). One staff member’s family was kind enough to host a traditional “kiwi feast”. My Global Theme and Challenge for my time abroad focused on engaging children in physical activity to give them a healthy start to life. While the population I worked with in New Zealand would not be considered children, but rather young adults, they are just as important of a population to be teaching healthy habits. Health and nutrition were not the main focuses of most of the programs (a few programs were focused on health habits), but all the programs did incorporate it one way or another. On weekend getaways, we would plan healthy meals. We would always try to get out for some physical activity during the day as well. Everyone enjoyed walking along the beach or in the bush (forest). I have learned that health encompasses more than just physical activity, but social interaction as well. Recreate NZ focuses on creating the environment where participants can receive and participate in a fun, social environment. Many of the participants have met their best friends through Recreate NZ. New Zealand is a well-developed country like The United States and thus extremely similar. I easily made friends with my co-workers at Recreate NZ and always went to them with questions if something about the culture confused me. Interacting with the participants really strengthened my role as a leader. Everything I did was being watched and possibly copied by the participants. I was a role model they looked up to. As a going away present and a thank you, Recreate NZ took me and another American Intern to the Auckland Harbour Bridge. They pushed us off the bridge!! Just kidding, we jumped and were connected to harnesses. Bungee Jumping is a great representation of my experience going abroad. I was nervous all up until the final step off the edge. But, looking over over the edge, feeling all the safety equipment, and knowing everything was going to be okay, I made the jump. I’d never been abroad, let alone on the other side of the hemisphere. The whole experience was a leap of faith and brought me out of my comfort zone, but I knew everything was going to be okay. And it was more than okay. It was amazing. Just like the bungee, I would love to do it again. I had a wonderful experience abroad and I would give anything to go back to New Zealand to work with Recreate NZ again or to just see all the wonderful friends I made. I loved learning first-hand about New Zealand and being immersed within the culture. I am forever grateful for the Franke Global Leadership Initiative for giving me the opportunity to have the most amazing experience of my life. This entry was posted in Internships, Uncategorized and tagged Internship, New Zealand, Non-Profit, Recreate NZ. Bookmark the permalink.